structure your site so the search engines love it! The SEO analysis will detect any problem areas within the structure of your website. If the website structure is deterring or constricting the search engines from navigating throughout your site, then your chances of ranking well, if at all, is slim. 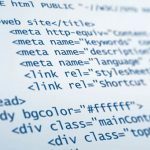 Search Engines find it difficult to crawl through a website structure that has excessively heavy coding and therefore cannot find or read all the information to index the site correctly. It is very important to optimise your website structure to allow Search Engine spiders to navigate straight to the relevant information on each page quickly and easily. A special file placed within the website structure that tells the search engine spider which pages of your site should or shouldn’t be indexed. A correctly written robots file will assist the search engines to efficiently and correctly index the relevant information in your website. Another special file placed within the website structure which allows the search engine to know the layout and structure of your website before it has even crawled through it. In addition it will also tell the search engines when each page was last updated and how often it will be updated in the future. The creation and submission of a properly structured sitemap has many benefits to your website rankings. Google’s ranking algorithm takes into account the page load speed of a website. This is because they want to serve up sites that give the users a good experience, and a slow site is not a good experience. There are many elements that need to be configured before a site will load quickly and we ensure they are all in place to give your sites users a good experience. 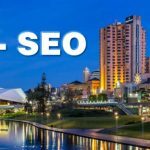 Making sure your site is clear and easy to read to Search Engines and human traffic alike is an essential starting point for any SEO campaign and Adelaide company Get Seen Online can analyse and rectify any problem areas. 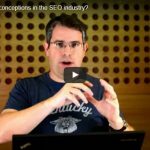 Is your website structure hindering your search engine visibility and rankings? Contact us on 08 8463 1112 to find out with an SEO analysis and begin your SEO with a strong foundation.